It's Long Tall Sally Stand Tall Week (cheers:) and The LTS Cut About Stripe Maxi Skirt is definitely something you can STAND TALL in. I am 6'6" and when I wear flats the skirt hits the floor (yay!). It looks great with a fierce pair of wedges too. Check out my review and you will see exactly why it's the perfect piece to showcase during the Long Tall Sally Stand Tall Week! I have two words for you: SHIRT DRESS. Yes, there is one that is long enough for us and it happens to come in a beautiful royal blue color. 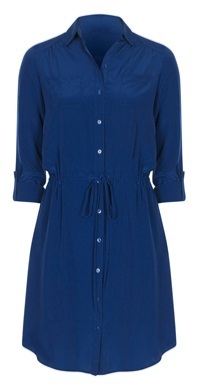 It's the Long Tall Sally Long Line Shirt Dress and I am obsessed! You are not seeing things. It's true and I have the review to prove it. Check it out! LONG LINE SHIRT DRESS from LongTallSally.com. $85. Sizes 6-18.Don't forget to buy accessories! Long Tall Sally has those too. 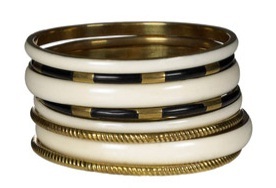 Check out the bangles I'm wearing in the video HERE. They go perfectly with the dress. Just enough blue to compliment it but not enough to be matchy, matchy. 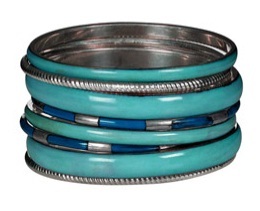 8 PACK BANGLES IN SILVER/TURQUOISE. $25. Also comes in the GOLD/IVORY option below. If you don't know about GabbyReece360.com...you should! It's an amazing site by fellow TallSWAGer, wife, mother, model, health and fitness guru and beach volleyball phenom, Gabby Reece. The site "strives to provide real life fitness and food solutions to help you do your best and be your best on a daily basis." It does this through amazing training, inspirational blogs, recipes and just about anything and everything is takes to help you be the YOU that you have always wanted to be. Check out what they had to say and while you are there check out everything that GabbyReece360.com has to offer. 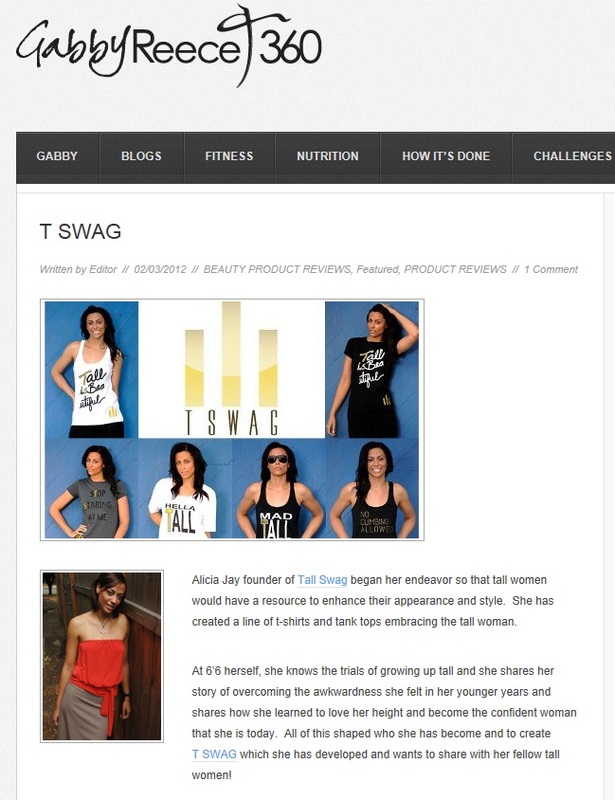 T SWAG FEATURED ON GABBYREECE360.COM. Click the pic to get your 360 on!